Thomas A. "Tab" Boland, Jr.
Tab is a true Horry County local, with family roots in the area stretching back more than 200 years. 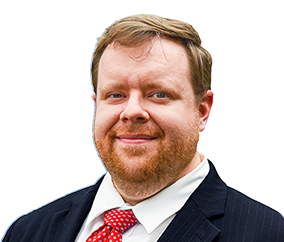 The son of an attorney father and a nursing professor mother, he graduated from Conway High School in 2001, after which he earned both a BA in Political Science and an MA in International Studies from the University of South Carolina. After working as a Realtor and teaching English in China for a year, he made the decision to attend law school. He earned his JD from Charleston School of Law in 2015, and was sworn in as a member of the South Carolina Bar the same year. Upon graduation, he returned home and has been practicing law in the area ever since.